I absolutely love concealer and am always on the hunt for the next best one to cover my darkening circles and my seemingly never-ending cycle of spots and scars. I am partial to a bargain from the high street (I blame the Boots 3 for 2) and am starting to grow a little collection, which I thought I'd share with you today - all of which are from the high street and will give you change from a tenner. Often touted as a dupe for YSL Touche Eclat, this is the one to use to brighten any darkness round the eyes or highlight areas like the cupid's bow and brow bone. I personally use it just on my dark circles to help me look more awake. The thin formula makes it ideal for layering either under or over a heavier duty concealer, as well as any touch ups throughout the day. I pay special attention to the inner corner of my eye and directly under the lashline, as I find these are my darkest spots. This cream concealer is designed to "wage war" under the eyes and with its thick formula and orange tone (to counteract the blue tones in dark circles), it really does the job. It reminds me a bit of Benefit's Boi-ing concealer in these respects, plus they both come in a little round pot - although the Seventeen one has the added extra of a mirror in the lid. The formula isn't great on dry skin though and really accentuates it - so use a good eye cream or primer first! Bourjois' CC Eye Cream combines the hydrating qualities of an eye cream and illuminating and camoflaging of a concealer. It has the creamiest, most hydrating formula I've tried but is quite light, which gives a really natural finish, making it in my opinion an ideal concealer for summer. This does mean it isn't the most heavy duty coverage wise, so for extra dark circles a highlighting or correcting concealer is needed too. It also has a unique silicone applicator, which makes it easy to apply and the formula blends like a dream. 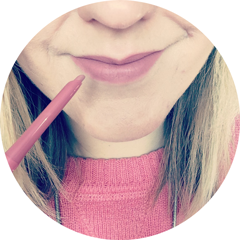 The Collection Lasting Perfection Concealer is a blogger favourite and was an obvious choice to include in this post as it's great for concealing everything! I think this is due to the formula - thick and creamy, it provides fantastic high coverage for spots and dark circles but blends with ease. I tend to use this mostly for concealing those really red, angry spots, as nothing else gives me the same coverage. As you can tell from the title, this is my favourite budget, high street concealer of all the ones I own. It's quite comparable to the Collection Lasting Perfection, apart from the formula is a little thinner. This means it doesn't provide quite as much coverage, but it's still great for both spots and dark circles, it just gives a slightly more natural finish. The shade I use (Extra Fair) is also the best shade match I've found for my pale skin so is easier to blend - the Collection version in the lightest shade is a little more orange toned. 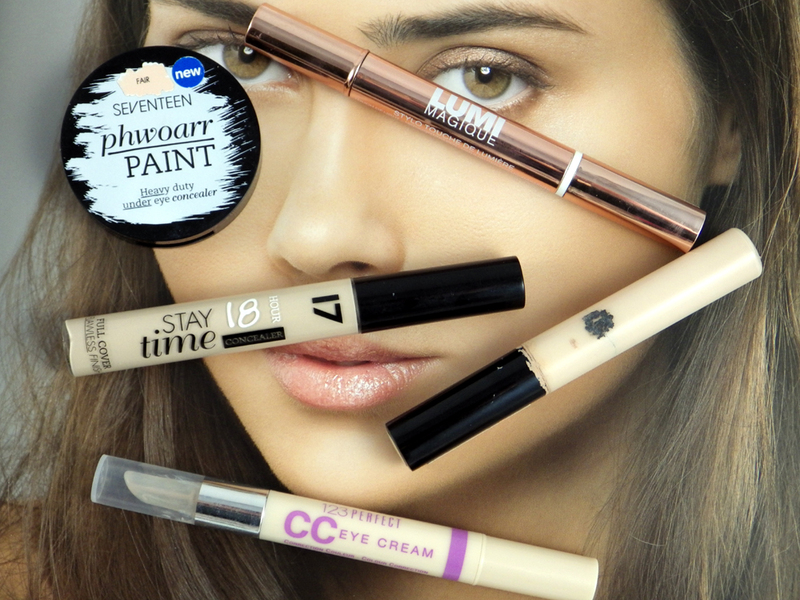 What are your favourite budget, high street concealers? Are there any others that you'd recommend I try? Ooh some fantastic picks! I like the sound of the L'Oreal Lumi Magique one best I must say. I really don't like the Collection one, I find it creases so badly on my skin! I think I'll have to try the Seventeen one which sounds amazing! Lovely post, thank you! I really like the Phwoar paint, Seventeen have done well with it. Even if it is a tad cakey, its the only thing that covers my eye bags! I'd also include Maybelline Fit Me concealer. It's really good. Have you tried it? I've been guilty of using Collection's concealer lately as it's so full coverage it hides everything, I want to use it all over my face haha! I think Seventeen 18 Hour Stay Time Concealer is great too! I really want to try out the Bourjois and collection ones that you mention as I keep hearing god things about them both. I looove the Bourjois CC Eye Cream, so light but great coverage.